St Peter's is well served by the 134 and 43 bus routes, which are frequent and fast. The bus stop is called Pembroke Road/St Peter's Church and is right outside the church. St Peter's is very close to the North Circular (A406) and not far from the southern end of the M1. Use the post code N10 1AQ for Sat Nav. 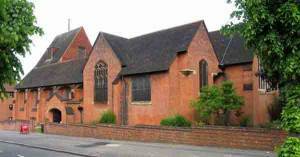 A private car park is available around the back of the Church off Albion Avenue.